Top Five Washing Machines For 2019 - Which? 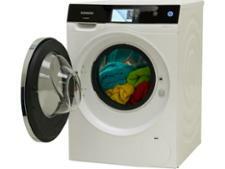 We reveal the top-scoring Best Buy washing machines from our Which? 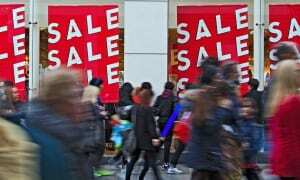 reviews to suit your family and budget - and the models to avoid. The best washing machines clean clothes fantastically on the commonly used programs, are easy to use and won’t cost a fortune to run. The worst we’ve tested are noisy, guzzle energy and don’t even do a good job at cleaning your clothes. We’ve pulled out our top five Best Buy washing machines from our tests in the table below. And we’ve also revealed the models that you’re better off avoiding. Only logged-in Which? members can view our recommendations in the table below. If you’re not yet a member, you can get instant access by joining Which?. This machine is a fantastic cleaner, scoring top marks for both cotton and synthetic loads. It’s also a good rinser and spin dries well, although does take a little longer than some machines. But if you don’t mind waiting around, this is a great-value model. This large capacity washing machine is fantastic at washing natural and man-made fabrics, and had no problem eliminating the stains we use in our tough lab tests - infact, it's the best machine currently on our site. It rinses and spins brilliantly, and it's quieter than others, too. It scored very highly in the majority of our tests and has plenty of useful extras thrown in, so we've every reason to award this excellent washer our Best Buy logo. This machine is one of the best we’ve ever tested. It’s pricey, but also a spectacular cleaner - and a clear Best Buy. 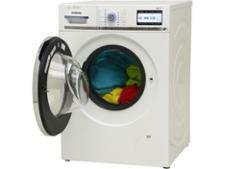 Its spin dry is excellent, leaving clothes much drier than most machines do, plus it’s really easy to use. This hi-tech washing machine was a real hit with our experts in the test lab, and we think you'll be impressed with it at home, too. It gets clothes really clean, rinses them brilliantly and has a super-effective spin. It's packed with features, yet very easy to use - all of which add up to make it a brilliant Best Buy. This is an absolutely outstanding built-in washing machine, It does a sensational job of removing stains from clothes and is a worthy Best Buy. Not found the product for you yet? Answer four quick questions to find the best washing machine. This machine doesn’t wash your laundry very well at all and therefore it has to be a Don't Buy. It may be reasonably priced, but if it can’t do its core job well then we can’t recommend it. It’s really noisy, too. Unfortunately, the price is the only impressive thing about this washing machine. It doesn’t wash well, rinses very badly, and the lengthy programs mean you’ll be kept waiting longer than usual for your clothes. We were so unimpressed that we've made it a Don't Buy. Sadly this washing machine isn't the bargain it first appears; not only does it struggle to get clothes clean and bright, but it doesn't rinse well either, leaving plenty of soap behind in the fibres. Add the fact that it's noisier than most and it's clear why we've made this washing machine is a Don't Buy. Freestanding machines are the most common. They can be placed anywhere as long as they can be connected to a drain and a plug and normally fit into a standard size kitchen width space of 60cm. Integrated washing machines are for built-in kitchens and are designed to sit behind a unit door. Be sure to check the space you have before choosing your machine. 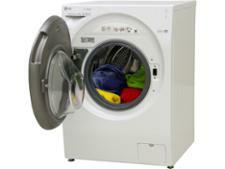 Washing machine drum sizes range from 5kg to 12kg and are based on the number of kilos of dry clothing you can fit in. Most medium-sized households will find a 7kg capacity machine suits their needs but if you prefer to wash larger loads then a bigger drum might be better. 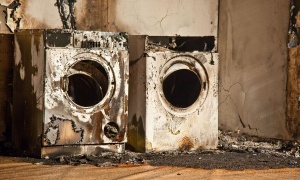 The price of a washing machine varies widely from £200 to over £1,000. Spending more tends to mean more wash cycle options, smarter features and a quieter machine. 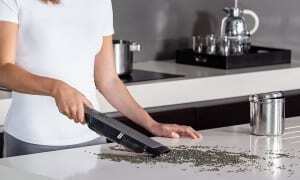 However, we’ve also found some quality models that clean well for under £350, too. If you’re not fussed about seeing the machine in store then buy online - you could save yourself up to £100. Washing machines have lots of helpful features these days - although they might not always come cheap. Make sure anything you’re paying extra for will be useful in the long run. If you’re still not sure what you need, our expert buying guide will help. We put each model through at least a month of rigorous laboratory tests to see how well they wash and spin clothes; challenging each machine to clean a range of stains, including tough-to-shift blood, grease, ink, milk, oil and rust. We check how noisy each machine is when running and if any traces of detergent are left on the laundry at the end of the cycle. Our reviews then calculate how much each machine costs to run by measuring water and energy usage, temperature gauges and length of programmes. But we don’t stop there. We also insist that all Best Buys come from a brand that we’ve found to be reliable – or have a five-year warranty. And that involves us talking to thousands of washing machine owners every year and gathering feedback about the issues they've had with their machines. You can see how the major brands stack up by going to our guide to the best washing machine brands.